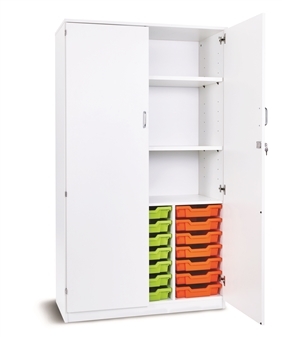 Fully assembled premium tray storage cupboards available in white and grey MFC with Gratnells Trays & runners. 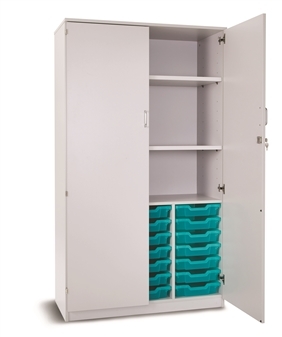 These cupboards come with 21 sahllow trays with lockable doors & handles and the upper section has 2 shelves.Perfect in educational environments including classrooms and offices. The unit is available in the full range of Gratnells plastic tray colours.